Zelda: Breath of the Wild is widely considered one of the best Zelda games. But for a completionist like me, it might be too open-world. I got my Nintendo Switch last February for my birthday, along with Zelda: Breath of the Wild — aka. the reason I wanted the Switch in the first place. 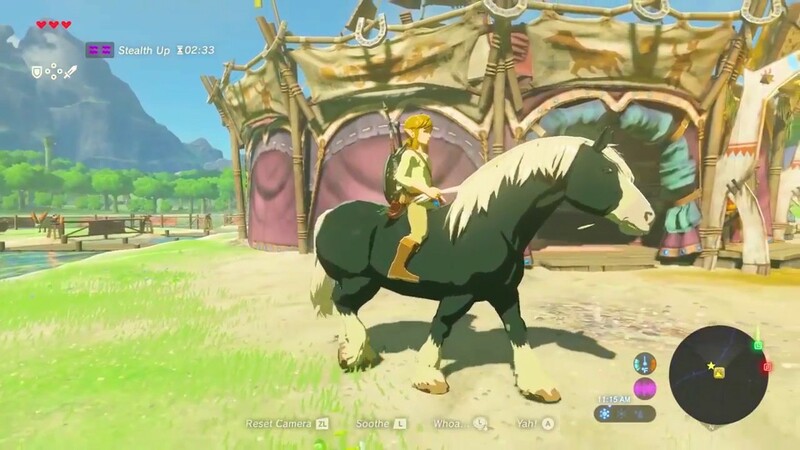 Having religiously played each new Zelda game since Ocarina of Time on release, of course I wasn’t going to sit out the most ambitious installment of the Nintendo franchise to date. Breath of the Wild wasn’t just the launch title for the new game system, it was a new era for Zelda (and Link), expanding the map of Hyrule to gargantuan size and allowing Link to swim, jump, glide and climb his way around it. Nowhere is inaccessible; nothing is off-limits. Basically, we’re talking Zelda-meets-Skyrim, ushering in a version of Hyrule that you could more fully inhabit. Or so I thought. The primary reason I’m drawn to the Zelda series is that, despite the previous games’ limited scopes, the characters and the world feel alive. 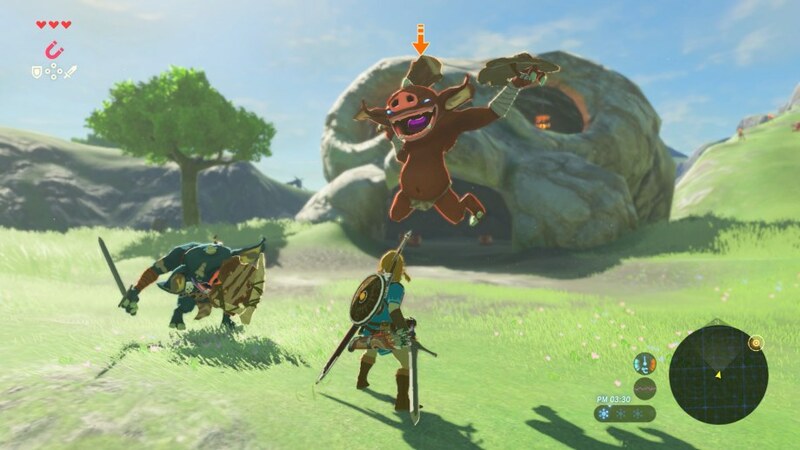 Regardless of the map side or level of linear gameplay, you, as Link, get to really dig into the world and the story and affect what happens for the duration of the game. And hey, Breath of the Wild does deliver on some of the promise an open-world Zelda game had to offer. Its graphics are beautiful, the story is imaginative, and the world truly is interesting to explore. I’ve spent countless hours collecting precious stones and mushrooms and looking for shrines, and I’ll probably spend many more. In BotW there are so many characters peppered all over the giant world; so many side-quests and personalities and functions to program in and keep track of. So many Korok seeds to collect. So many villages to visit. So many shrines to find. There is no shortage of stuff to do. The problem is that, for all those places and people and snippets of story you encounter, the world of Breath of the Wild feels eerily empty, every interaction hollow, devoid of soul. To me, Breath of the Wild is less Skyrim, more No Man’s Sky, because most of the encounters really is just window dressing. Village, stable, random encounter and enemy elements are so clearly copy/pasted from area to area; any differences are superficial at best, and by design, interactions are shallow and inconsequential. In Ocarina, along with Twilight Princess (a controversial favorite) and even Skyward Sword, the characters felt real and were capable of development, and as you moved through the game, some of the characters would go through their own side-journeys, too. It was always worth heading back to an old location to talk to people, because sometimes they had changed, or reacted differently to you. More enjoyable open-world games like Fallout and even Skyrim (though I’d argue the former is far superior in this regard) also pepper in interesting objects and story pieces which you can examine on your journey. The world was lived in before you got there; things happened, and you can bear witness to the strangest sights and let your imagination fill in the blanks. The world is beautiful, yes, but it’s kind of like traveling through an interactive wallpaper. You can’t really affect anything, and nothing you do really matters. This one is really frustrating. For all the different, fun ingredients you can scavenge throughout this game — the existential crisis you go through every time you kill a stray fox, the bombs you throw into lakes and the mushrooms you climb around in the mountains to find — there is no actual reason for doing it. Literally all you needed was one type of ingredient for each special enhancement, five of each, for maximum effect. It’s a nice thought that they’ve made different variations to collect and cook, but in practice, it’s just a pointless exercise. No, there is no magic combination that yields a rare new type of potion or dish, like when you experimented with breeding random Pokémon at the Day Care (come on, we all did it). There are no skill increases or rewards to be gained from cooking more elaborate, complicated recipes. It looks complicated, but — like the human interactions — it’s frustratingly basic and repetitive. Maybe others feel differently, but I personally am not a fan of the shrines. 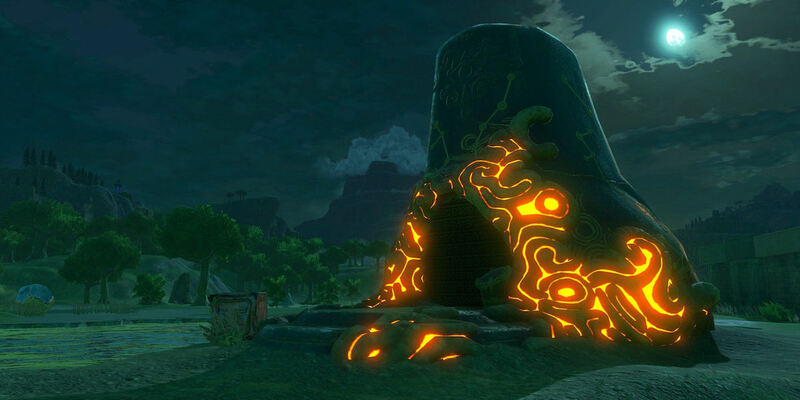 Both because of the mechanics involved — it’s boring, either way too easy or way too cumbersome — and because, after the initial skill upgrades, the reward for beating a shrine is way too small. It takes four shrine completes if you want another heart container, or a bit of stamina increase. You level up painfully slowly and tediously, especially because there are no other ways to get these boons. If you want to see any significant level-ups, you have to find and beat a whole lot of shrines that all just blend together. And while I’m sure there are more in the areas I haven’t yet bothered to explore, I feel like I’ve plowed through most of the ones available, and I just can’t be bothered to go combing around looking for more. Weirdly, for an open-world game that lacks direction, the actual story of Breath of the Wild is way too straightforward and simple. Four Divine Beasts. Then Ganon. That’s it. 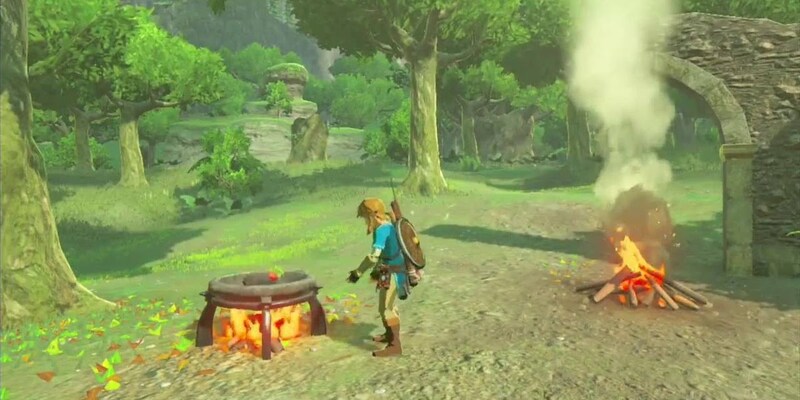 All the side-quests are insular and pointless, since what you get usually amounts to a weapon you’ll break solving another side-quest, or Rupees you’ll spend buying ingredients for potions that you’ll use trying to get more Rupees. We’re a long way from Ocarina of Time, where you had to go around Hyrule collecting all the Stones before going to the Temple of Time, only to travel to the future and go through new dungeons for new pieces of a new puzzle, all the while inching closer not just to the boss battle but to understanding what happened to the world (and Princess Zelda) and why. In Twilight Princess, you explored dungeon after dungeon, each yielding a new that allowed you to access new areas, fight new foes or reach places you couldn’t before. 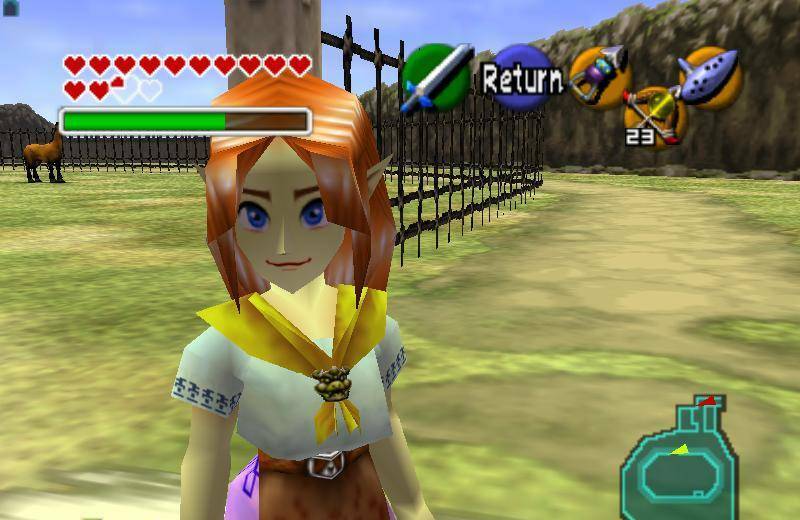 As in Ocarina, the side-quests were usually the key to gathering heart containers (i.e. they were worth doing, because they actually made you stronger). But here, well, nothing really lasts beyond the armor sets (which you can usually buy in shops) and the Master Sword, so why bother? Yes, this is a nitpick, but still: why is the voice of Princess Zelda so terrible!? And the others are almost as bad. Considering how long and drawn-out the cut-scenes are (and again, they reveal nothing beyond what we’ve already been told), Nintendo might have at least bothered to match the tone of voice to the mood of the scene. I keep coming back to Zelda: Breath of the Wild because it really is beautiful, and I really do like running around as Link. But it just isn’t a satisfying enough play experience for me to ever really advance very far, since my impulse is to gather everything and unlock achievements, but there really isn’t anything of substance to do other than the main quest. Maybe I’ll slug through it eventually just to say I’ve done it. But I might just not bother. 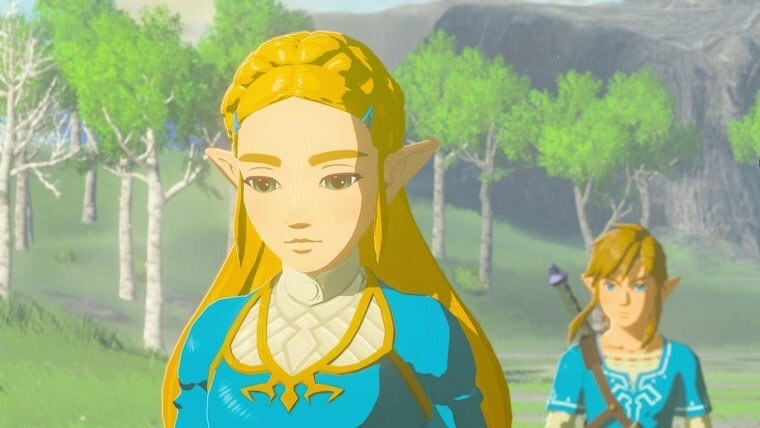 There are now 2 DLC packs for Zelda. DLC Pack 1 – The Master Trials released on June 30th, 2017 and DLC Pack 2 – The Champions’ Ballad released on December 7, 2017. Do you enjoy the ‘Zelda: Breath of the Wild gameplay experience?